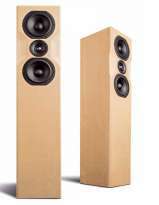 Full-range loudspeakers are enjoying another comeback and arousing increased interest, embodying, as they do, everything that a point sound source should be. Large full-range loudspeakers like the B 200 have the additional characteristic of transmitting the sound in a tightly bundled beam, which produces a very tangible, three-dimensional effect and allows individual instruments to be easily located. A drawback of the system, however, is that this beaming process and the sensitivity are reduced at lower frequencies. 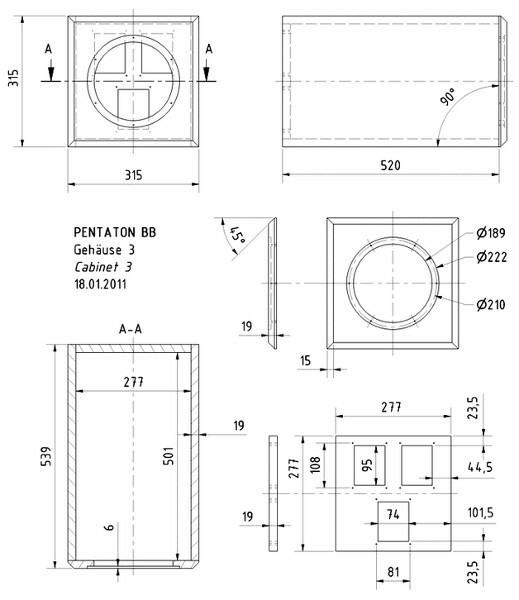 The PENTATON BB was developed specifically as a cabinet based on the legendary B 200 but designed to compensate for these two disadvantages. 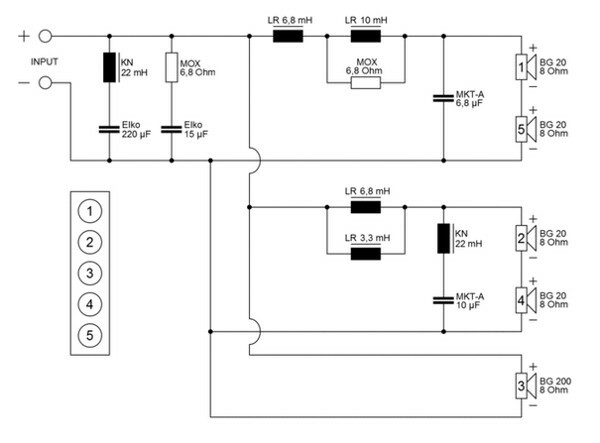 In a similar way to the QUADRO, additional full-range drivers are switched in to supplement the central driver, which is connected direct to the amplifier without an intervening filter, as the frequencies go down the scale. This allows the B 200 to develop its full potential with none of the impairments caused by frequency-dependent signal-carrying components, while the BG 20s, that are optimised for low-frequency response, maintain the extremely high sensitivity and beaming effect right down to the bass range. The additional full-range drivers are arranged symmetrically in two groups around the main speaker, which again creates an acoustic focus in the centre of the speaker cabinet. 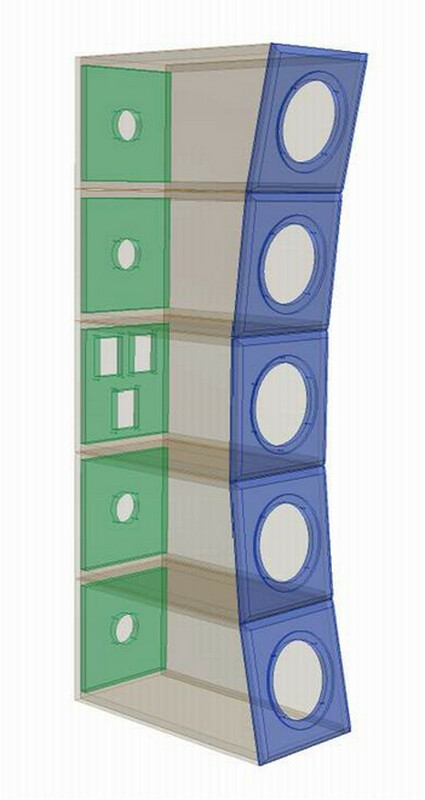 On top of this, the baffles in enclosures 2 and 4 and in enclosures 1 and 5 are angled inwards by 6° and 12° respectively. This feature guarantees that, assuming a typical listening distance of approx. 3 m, each of the drivers is exactly the same distance away from the ear and at the same angle. Given the size of these speaker cabinets, this is the only way to ensure that the phases of all the drivers are in sync across the entire frequency range. The result of all these characteristics taken together is a sound image of the stage that could hardly be clearer or more precise. Even baritone male voices and large instruments such as the double bass or bassoon appear to be present full-size, in the right place on the virtual stage and in tangible 3D. 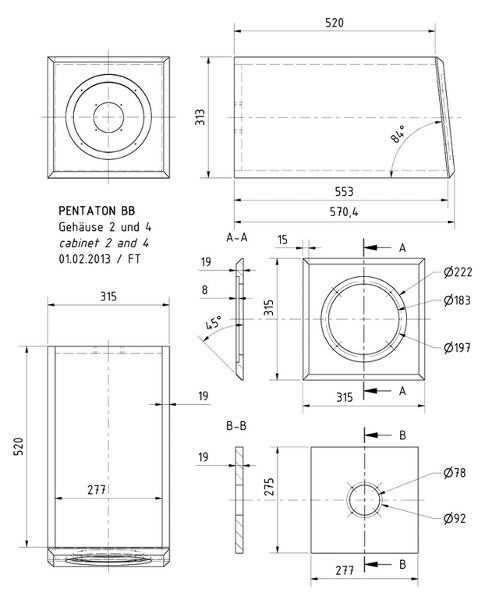 Thanks to the enormous diaphragm area and the low moving mass, the PENTATON BB transforms dynamic jumps in the recording decisively and seamlessly into sound pressure and, with its superior handling, encourages the listener to increase the volume level until it is physically felt and yet it never becomes obtrusive or laboured. And yet, this is definitely a speaker for connoisseurs of lower volumes. Even at low output levels, the overall sound quality is tangible and mature so that every tiny musical detail, however small, is projected audibly without the slightest distortion. 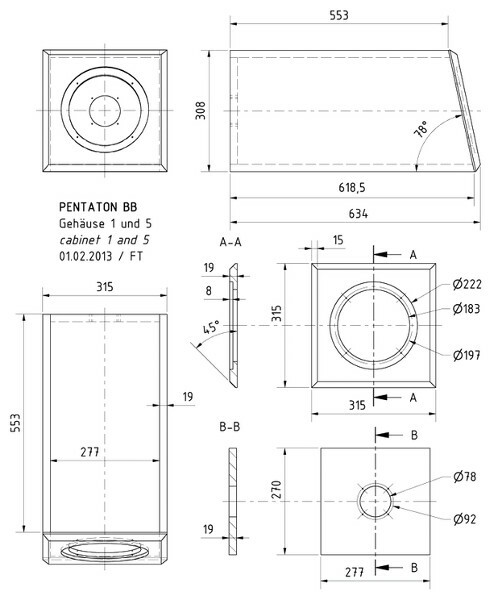 The frequency response is remarkably linear for a loudspeaker of this kind, which is why the PENTATON BB is ideal for the authentic reproduction of every genre of music without restriction and will allow the listener to rediscover even old favourites thanks to its analytical and highly detailed approach. Thanks to its high sensitivity and uniform impedance curve, the PENTATON BB is predestined for use in connection with high-grade tube amplifiers with relatively low output wattages. “... The warmth and presence with which the instruments, in particular acoustic ones, were reproduced, were fantastic. The speakers show their spatial qualities to the best when the recordings are of high quality: it is as if the air were to take on the characteristics of solid matter, that's how accurately the instruments and voices can be located. Energetic sound reproduction is another key issue: due to their enormous dynamic capabilities, the Pentaton speakers can easily deal with any genre of music – even electronically produced deep bass pulses do not make it flinch. In terms of depth, what we measured backed up what we heard – what we couldn't measure, though, was the unique bass quality of the cones which were able to generate an amazingly light-footed but clearly defined bass range – that's the way it should be! And if you're not afraid to turn up the volume control, the Pentaton will show you that a firmly plucked guitar string can, indeed, generate sympathetic vibrations in your gut region. 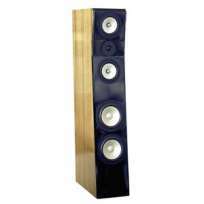 It can be said that the size of these speakers is fully in tune with the audiophile quality of their output. Visaton's Pentaton is a speaker that will get you hooked. With harmony and balance on the one side and precision and dynamism on the other, these characteristics blend to make a speaker that is quite fantastic and which, to top it all, is more capable than most of being connected to a valve amplifier. ..."